General objective of this report is to identify and explore the Project Evaluation Practice by Bangladesh Shilpa Bank. Other objectives are find out the ways that Bangladesh Shilpa Bank uses in industrial development in Bangladesh. Report also focus on to study Bangladesh Shilpa Bank’s lending and implementation tactics like estimation of budget monitoring process, resource allocation etc. Finally indicate the limitations for problems of the lending and implementation procedure and recommend necessary steps to overcome such limitations. Find out the ways that BSB uses in industrial development in Bangladesh. To study Bangladesh Shilpa Bank’s lending and implementation tactics like estimation of budget monitoring process, resource allocation etc. To indicate the limitations for problems of the lending and implementation procedure. To recommend necessary steps to overcome such limitations. For preparing this report I had use some methodologies to collect proper and authentic data. Rules were followed to ease the data collection procedure. Accuracy of study depends on the information and data analysis. Data have been collected from both primary and secondary sources . The sources of data are as follows. Face to face conversation with the head of the departments, respective officers of BSB. Relevant documents studies as provided by the officers concerned. Industries play indispensable role in the economic enlargement of every country. This is why Industrialization has been used as as main mechanism of economic expansion in many developing countries. 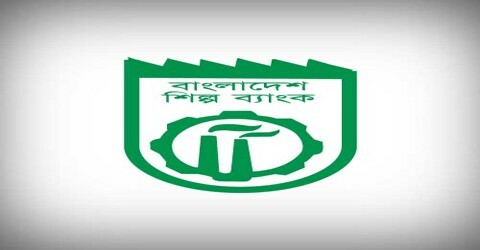 Government of Bangladesh instituted a development financial institution named Bangladesh Shilpa Bank on 31s December, 1972 under the presidential order no. 129 of 1972 with a mission of speeding the process of industrialization of the country by providing financial support and equity backing. It has been extending long and medium term loan facilities in local and foreign currencies to industrialize projects in the private and public sectors. Sources of Bank’s fund are the Government, Bangladesh Bank, Commercial Bank’s local / overseas financial institutions and supplies credit. At least fifty one percent of the authorized capital of Bangladesh Shilpa Bank must be subscribed by the government and remaining forty nine percent may be subscribed Bangladeshi nations or by financial institutions local or foreign. Presently, 100 percent ownership of the bank belongs to the government. At least Bangladesh Government subscribes 51 percent of the Authorized capital of BSB and remaining 49 percent is subscribed by Bangladeshi nationals or by local or foreign Financial Institutions. Presently, 100 percent ownership of the Bank belongs to the Government. Bangladesh Shilpa Bank is the state owned Lending Department Financial Institution (DFI) of Bangladesh. The mission of BSB is accelerating the process of industrialization of the country by providing financial assistance and equity support. The overall policy formulation and the general direction of Bank’s operation is taken in a Board of Directors appointed by the Government. This Board of Directors consists of 9(nine) members including the Chairman and the Managing Director. Non-Governments shareholders subscribing to the capital of the bank shall eventually elect 4 directors from amongst themselves. The Managing Directors is the chief executives of Bank. The General Managers assist the Managing Director in conducting the overall banking business. Provides working capital loans to industrial projects. Issues guarantees on behalf of borrowers for repayment of loan. Extends commercials banking services along with deposit mobilization. Conducts projects promotional activities along with preparation of various sub-sectoral study reports. The bank assists the interested entrepreneurs in selecting industrial projects having appropriate technology and potential market by providing advisory services and various information. For upgrading the professional competence and skills of its employees, the bank is continually arranging training programs both at home and aboard. During FY-2002-03, 229 offices were provided in-house and local training. Besides, 40 offices wee sent aboard for the purposes. To improve the working efficiency and provide better customer service, computerization of bank’s activities is on. In this regard, the bank has undertaken a far-figure action plan. Implementation of the first phase of network-based computerization is at the final stage. At first an application form is supplied to the entrepreneur for taka 1,000.00 only. If the loan is sanctioned it is forwarded to the project implementation department. Undertaking necessary action initiatives after granting loan in favor of the project. Taking necessary action to make the factory lay-out. Making necessary adjustment in case of change of the project place, change of board of directors and change or extension of product mix etc. Making necessary attempt to give the loan a stage after the loan granting. To ensure that necessary capital has been supplied by the entrepreneur to ensure its proper utilization. To give necessary assistance in the case of Bridge loan from any financial institution. Taking necessary initiatives to construct the lay- out of the project according to construction cycle. Monitoring the machinery of the project, inspection and taking any kind of advice regarding to any machine related problem from machinery department. Verification of new material process of project ensuring the cash capital according to the loan terms and condition and providing necessary assistance in this matter. Inspection and monitoring experimental production extension of loan period. Making the final construction report (FCR) and transferring it to central recovery department (CRD) and concerned department/authorities. Determination of the construction period of the project preparing loan repayment schedule and taking after necessary action regarding this. Monitoring and inspecting the project to see whether the project is implementing according to time schedule and taking necessary initiatives to solve any kind of problem arising out therefore, and providing necessary advice to the entrepreneur. Receiving insurance letter against the predetermined risk of the implementation project assets and ensuring its deposit to bank. Inspection of the utility of the principles regarding the project implementation and presiding up to date principles. The land upon which the project will be established, document of this land must be produced. The documents that reveal that the land were not sold within preceding two years. Then a form is filled up. These documents are sent to lawyer. It every thing is good enough it is transferred to project implementation department. The Borrower Company must submit necessary documents. Verification of documents by documentation and machinery dept. and law dept. Preparation of all documents of the borrower company director. Project implementation department makes a repayment schedule and gives it to the borrower. Normally the interval is 6 months. This department inspects the project after every 6 months to see whether there is any leakage. If the borrower fails to repay the loan as the application of the borrower it is rescheduled. Sometimes a portion of interest is exempted. If the borrower fails to repay the loan than it is transferred to law department to take legal action on the application of the borrower. Sometimes the project is transferred to project Rehabilitation Department to restore the project. Continuous loan: The loan which can be granted and recovered without any repayment schedule but have an expiry date and maximum limit are called continuous loan. Demand loan: The loan which must be repaid as the bank calls it is demand loan. Term loan: The loan which must be repaid as the bank calls it is term loan. Short-term agricultural and micro-credit: The loan which is paid in less term and condition is known as short-term agricultural and micro-credit loan. If any installment of any term loan is not repaid within specific date it is treated installment default. To prepare & implement Annual Training Program. To impart training of the Officers/Staff regarding business & operations of the Bank. To adopt measures to hold in-house training and make arrangements to send Bank’s officers to overseas training programs. To establish liaison with domestic & overseas organizations relating to training. To organize Seminar/Workshop/Symposium on key economic/banking issues. Training Hall with Air-condition facility accommodating about 25 (twenty five) participants. Judging the capability of the management in meeting the changing conditions arising out of implementation of the proposed project or on-set of a bad business time.